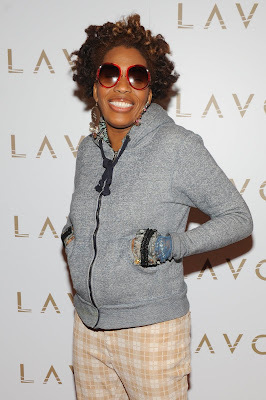 In town celebrating the June 22nd release of her highly anticipated album, The Sellout, Macy Gray stopped by LAVO on Sunday to surprise guests with a few tracks. 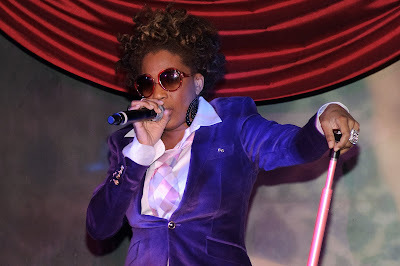 The crowd went wild as the funk queen, clad in a purple velvet suit and sunglasses, wowed the club with selections from the critically acclaimed release. Earlier in the night the diehard Laker fan was spotted with in a hoodie catching the playoff game against the Celtics in LAVO’s lounge.